This new textbook examines how industry environment and business strategies determine company performance. 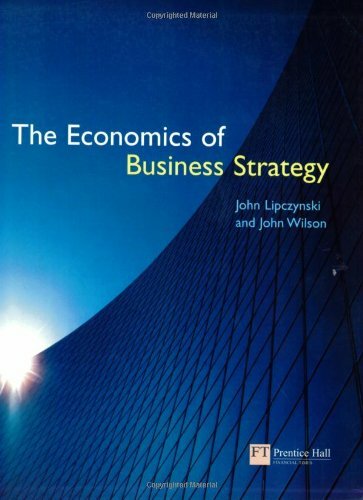 It provides an introduction to the economics of business strategy, introducing key concepts drawn from microeconomics, industrial organisation, business economics, business environment, organisation studies and strategic management. The book is written for the growing number of courses at MBA, undergraduate, and foundation level where readers require not only an integrated theoretical framework in economics and management, but also the practical skills and knowledge to examine how and why firms behave in certain ways in the real world.